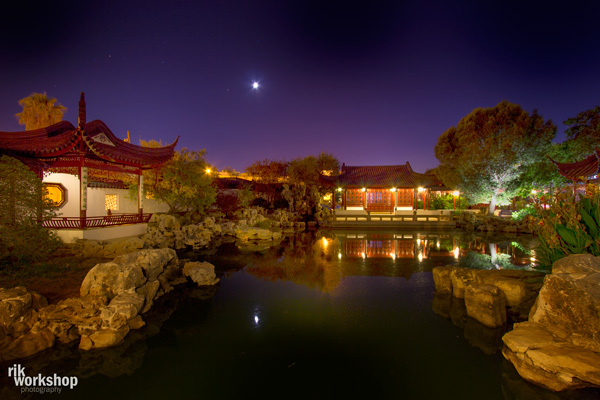 A long exposure panoramic image of the magical Chinese Garden of Serenity in Santa Lucia. 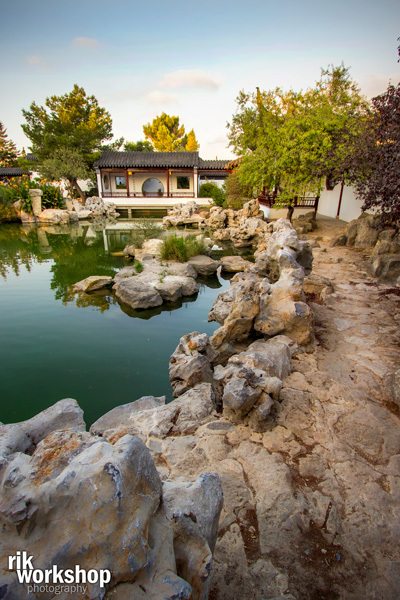 The Chinese Garden of Serenity is located in Santa Lucija, and was inaugurated on July 7, 1997. 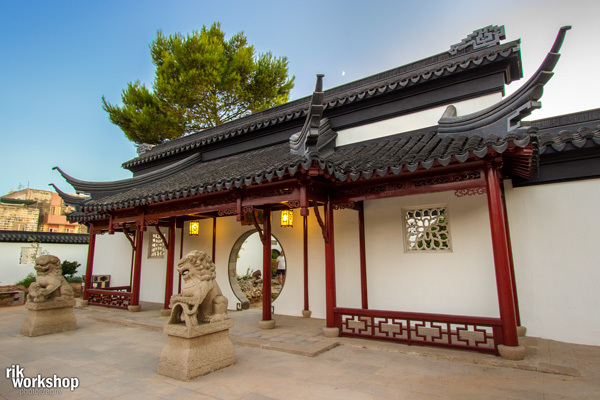 Its layout presents various philosophical ideas traditionally symbolised in Chinese gardens and invariably offers a unique spiritual connection with nature. 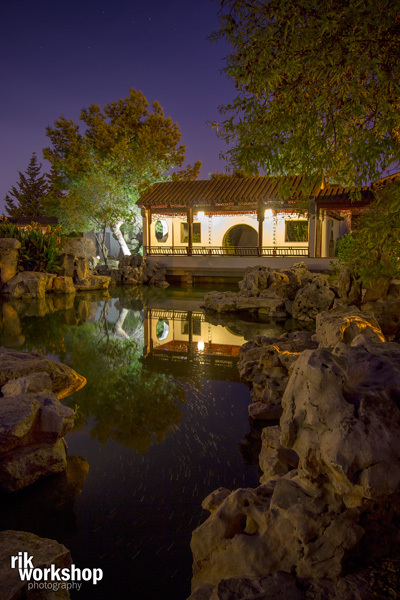 Chinese gardens are landscaped to represent a complete world of balance, and are intended to encourage people to roam freely with their inner thoughts, offering spontaneity and surprise rather than symmetry. 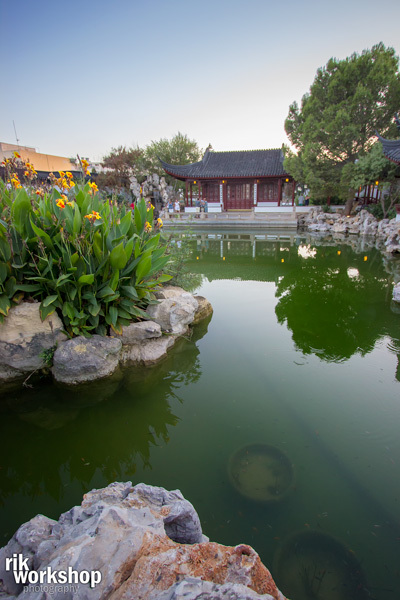 Rocks and water are the two important elements, with water symbolising the flow of thought and contemplation while the rocks symbolise matter and manifestation. They also represent the complementary opposites of yin and yang, the yielding feminine energy and the strong masculine energy. 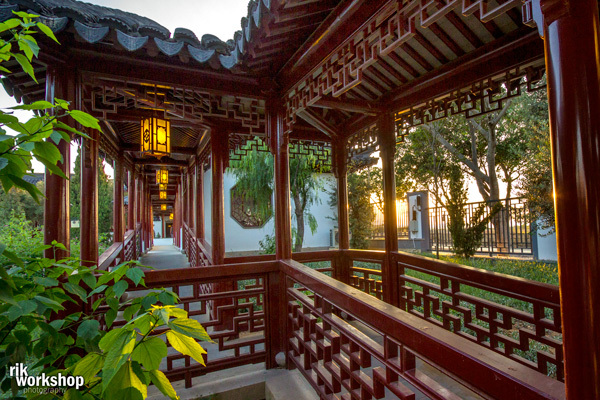 All the elements in the garden – fountains, a bamboo garden, zig-zag pathways, bridges, different types of doors – are symbolically placed to represent life, from birth to death. Actually the garden seems to be made up of several smaller ones separated by walls. 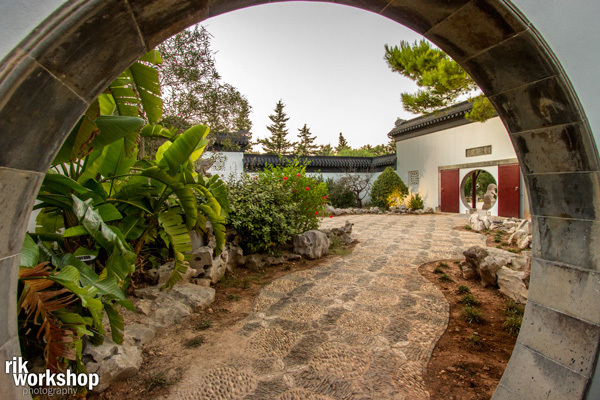 Each secluded spot offers a visitor a different mood and an opportunity to meditate on whichever thoughts and feelings arise in each garden, just like the passage of life. In one of these spaces, even death is represented – by a hole in the earth into which the rocks and water enter, and in which one can see his own reflection… a reminder that all things must come to pass.